fact: the TC crew actively avoids powder. there are days they've been around my area hitting urban while we're all out getting face shots. For reals. I respect what they do, but Line, c'mon and live a little and enjoy the freshies! well i understand i love there webisodes but theres only like 3 episodes with powder and they could use more but the show is still good. while i'm not apposed to this idea, i'm gonna go ahead and let them do TC how they want to, because its worked pretty well so far. maybe every episode is so hyped that they don't wanna put out sub par pow footy and disappoint people, especially when their jib skiing is the best out. So you mean real skiing, on real mountains? 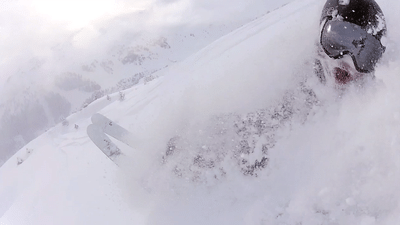 this, like pow is fun to ski but boring to watch. Skiing has its days. And when you want to hit rails or ski pow you can do as you please. I bet they would ski more pow if they had the time. I trewly respect how they love to ski whatever it is they can their hands on. I like how when they do do powder, it's special - like their europe trips and whatnot. And hey, the epicness of 4.4 should hold most people for a while. I say to the TC crew: keep up the good work! I really enjoy the creativity and skill they show in the park. I could watch similar edits all day. If it ever turns into episodes of powder skiing, I will stop watching. Traveling circus, I vote you do not listen to this thread. I hope TC ignores every single goddamn person that tells them what to do. Agreed. It's as good as it gets as far as webisodes go. I'm sorry if you guys got the wrong idea. I love traveling circus I watch all their movies I just gave a small suggestion I don't want a whole ton but maybe a trick or two every other episode to mix things up. Sorry for the confusion! The few powder episodes they've had, especially in S1, have been my favorites of the series. we all need more powder. just need more episodes in general. there are no hippys to kill in the steep mountains of ahh. the wizards go into their caves when the wave starts a blowin. it just wouldnt be a TC episde with out gypsys hippes and wizards. why does the white stuff have to be so damn addictive? agreed. tc is all about "doing their own thing," and it works! The fun jibbin in the backyards and streets is fun for a while, but it would be cool to see them get gnarley on a mountain.